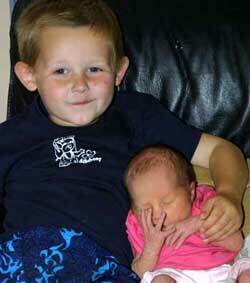 Orlanda was born to Michelle and Paul Titherly in Eastbourne on 8th August, 2003. Brother Korben is obviously very proud, although Orlanda is too young to know that the cuddles won't last. We wish the extended family the very best.